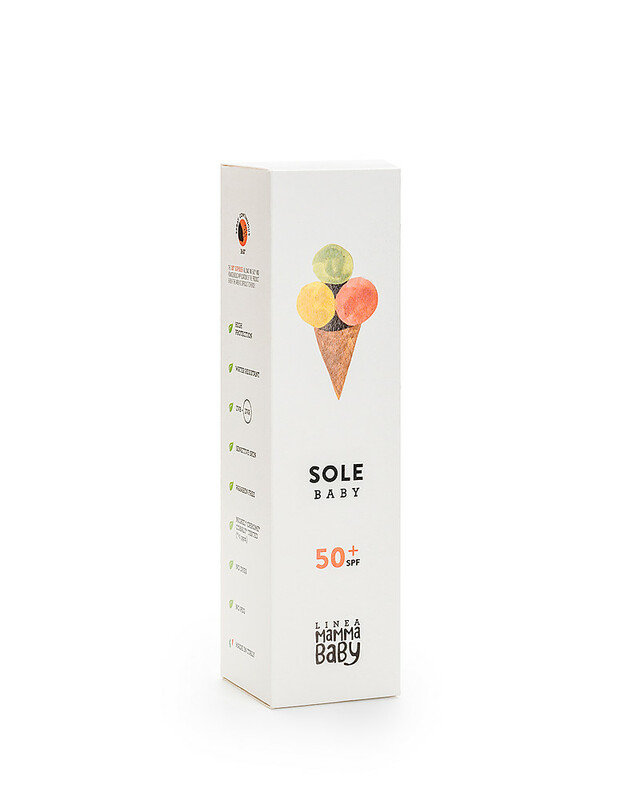 Baby Sun Lotion Albertino 50+ Spray, 150 ml - UVA and UVB protection. Eco-friendly! 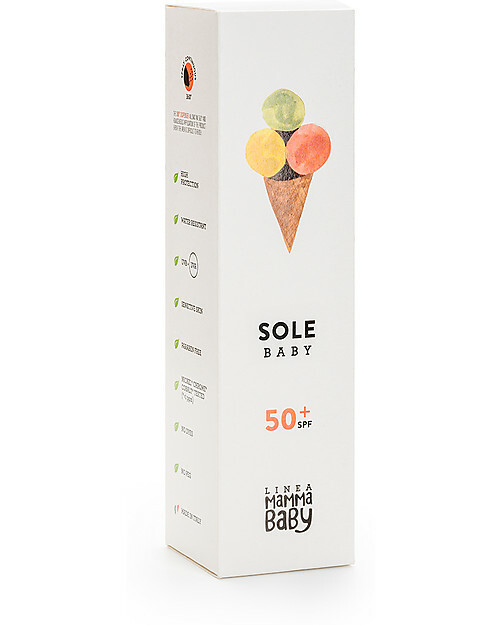 Created by the Italian brand Linea Mamma Baby, the Baby Sun Lotion Albertino is a very high protection product (50+). Its soft texture is quickly absorbed and suitable for the most delicate and clear skins of babies and protects for UVA and UVB rays, sunburns and redness. 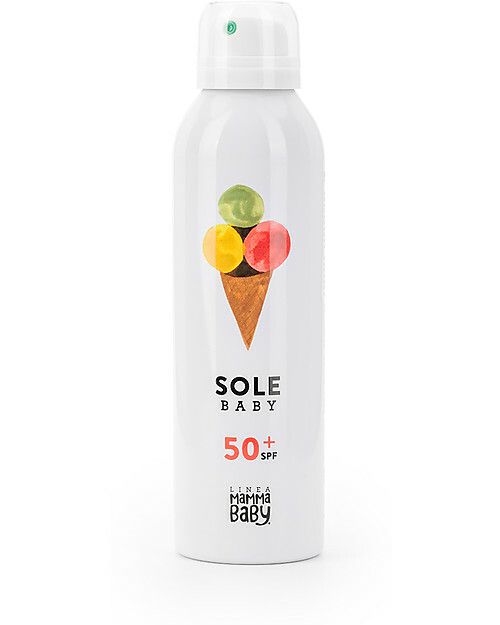 Like all products from this brand, this Baby Sun Lotion is dermatologically tested and completely free from parabens, dyes or peg. The 360° spray valve allows you to evenly apply the product and being free from gas it is also eco-friendly. 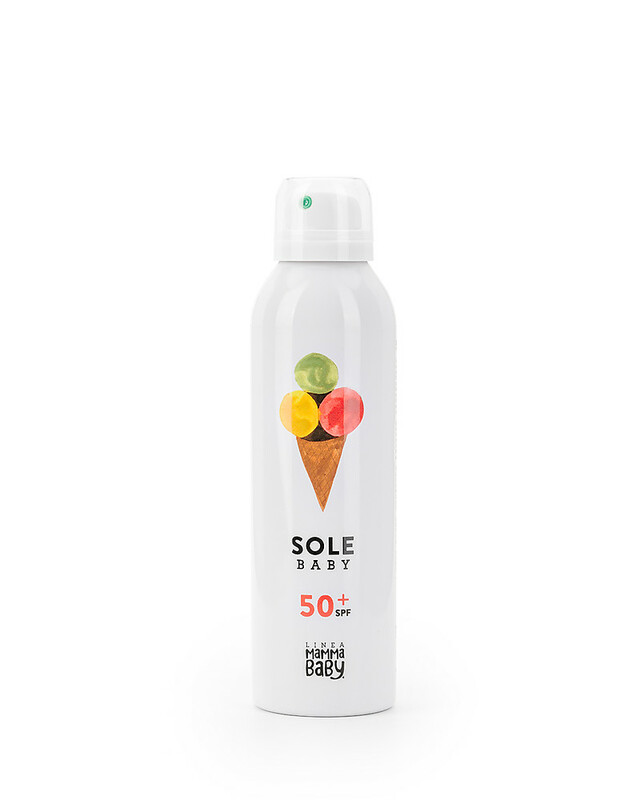 Within its special bottle the product is pure and never gets in contact with any other substances meaning that it never gets contaminated and it does not have a “best before” date. The thin skin of babies has a very little amount of melanin and it is therefore extremely delicate: this is why it is so important not to let the babies under the sun for too long hours, and never during the central hours of the day. Remember to always protect your babies with sun lotion before exposing them. Use: apply on all skin at least 30 minutes before exposition. Very high protection for the sensitive skin of babies! Design is simple, clean and innovative. Linea Mamma Baby is a new brand created by Olcelli Pharmaceuticals with over 50 years experience in the pharmaceutical and food field. 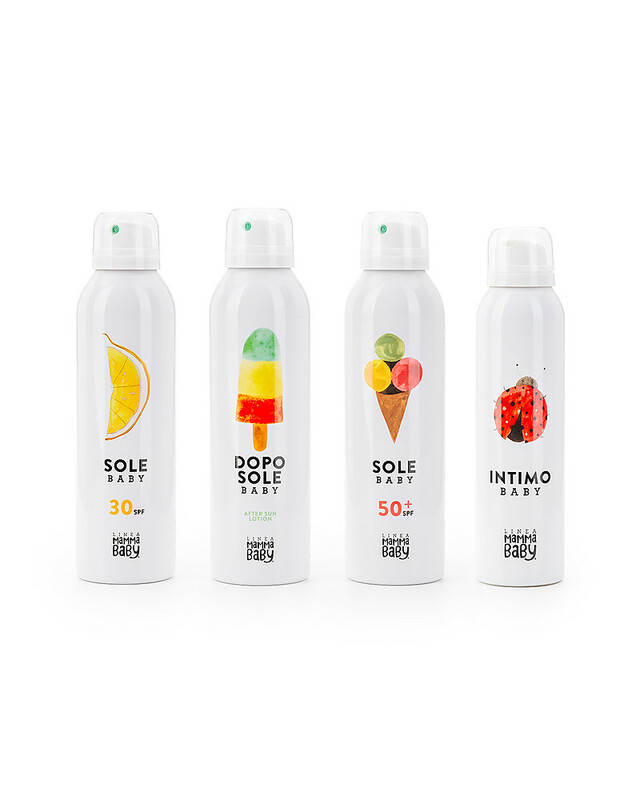 A new line of cleaning products / cosmetics with ingredients of the highest quality, designed with love and passion and dedicated to children and adults.